1. "Retiring in Savannah, Georgia, vs. Charleston, South Carolina"
Unless you live in one of the few states in the country without state income tax, it’s an unavoidable part of life. When you file your federal taxes each year, you’ll also need to complete a state income tax return to ensure you paid enough in throughout the year. If you’re trying to decide between making Georgia or South Carolina your home, state income tax rates can be an important consideration, along with other cost-of-living factors. Georgia’s tax rate depends on the amount of income you earn. There are six separate tax brackets, ranging from 1 to 6 percent. Most taxpayers in the state will be taxed at a rate of 6 percent, which applies to all income earned above $7,000. For married taxpayers filing jointly, the rates are the same, but you can make up to $10,000 as a couple before you pay the 10 percent tax. That rate is on the decline, though. In 2018, the Georgia General Assembly approved a bill that will lower the 6 percent rate that most taxpayers pay to 5.75 percent in 2019 and 5.5 percent in 2020. However, for the 5.5 percent rate to take effect, there will need to be a joint resolution during the 2020 legislative session. These tax cuts will last until Dec. 31, 2025, when they’ll expire. Georgia residents pay a 4 percent sales and use tax, with local municipalities able to add up to 5 percent. This leads to a sales tax rate range of 4 to 9 percent. The best news for South Carolina residents is that lower-income earners pay no sales tax at all. There are a total of six tax brackets, with the lowest, 3 percent, starting at $2,911. But most residents will pay 7 percent state tax since the highest tax bracket applies to those who make $14,551 and above. There is also a South Carolina tax rate that applies to sales, with a 6 percent tax levied on most purchases. Local municipalities can add 1 percent to that. When comparing Georgia vs South Carolina taxes, though, it’s important to consider other types of taxes you’ll pay in each state. The income tax is slightly higher in South Carolina, particularly with the short-term reduction the Georgia General Assembly has approved. The base sales tax rate in South Carolina is also higher, but it depends on the area in which you live. A resident of Atlanta, for instance, pays 8.9 percent sales tax, while a resident of small-town Chesnee, South Carolina, would pay only 7 percent. But when compared to the largest city in South Carolina, Columbia, there isn’t as much of a difference. Columbia’s sales tax is 8 percent, only 0.9 percent lower than Atlanta’s rate. Other considerations when weighing Georgia vs South Carolina taxes include deductions and credits. The General Assembly’s income tax reduction measure also doubled the standard deduction for Georgia taxpayers in addition to temporarily reducing the income tax in Georgia. You can now claim a $4,600 standard deduction if you’re single and $6,000 if you’re married filing jointly. This is up from $2,300 and $3,000 previously. Like many other states with income tax, Georgia allows taxpayers to claim certain tax credits. One of those is the qualified education expense credit, which lets individuals and businesses claim a credit for donating to eligible student scholarship organizations. Married couples can claim up to $2,500, while single filers can claim up to $1,000. Taxpayers can also receive a credit for donating to rural hospitals. If a Georgia resident pays taxes to other states, that money can also be claimed on their taxes. The South Carolina tax rate may be higher, but you may be able to make up the difference in tax credits and deductions. The state has updated its standard deduction to match the federal standard tax deductions, which are $12,000 per person or $18,000 for those filing as head of household. There is an additional exemption on your South Carolina state income taxes of $4,110 for each eligible dependent and an additional $4,110 exemption for dependents under the age of six. South Carolina residents can also claim tax credits to help further reduce tax liability. Those include a nursing home credit and a $25 credit for completing a premarital preparation course and getting a marriage license. If you have children with exceptional needs, you can claim a refundable credit of up to $11,000 for the school tuition you paid. There is also a two-wage earner credit and a child and dependent care credit. Combined, these credits and the deduction could make South Carolina’s income tax a better deal, depending on your situation. If you’re planning to retire soon and looking at Georgia vs South Carolina taxes, it’s important to take a look at how the state’s income taxes apply to retirees. In 2018, Kiplinger named Georgia the third friendliest state to retire in, based on its low cost of living and taxes, among other factors. The cost of living is 7 percent below the national average, according to Kiplinger, which is a plus on its own for potential retirees. As for taxes, Kiplinger also named Georgia one of its top 10 most tax-friendly states for retirees. 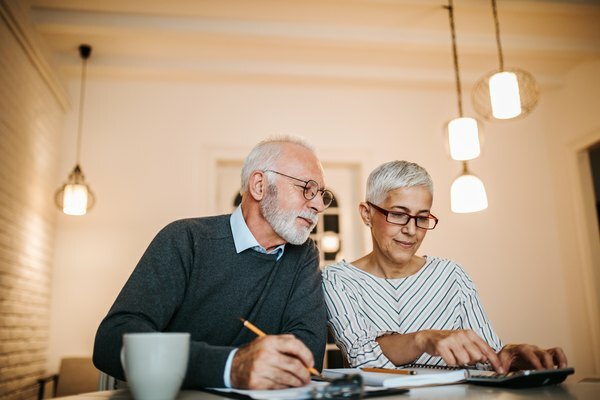 Social Security income is exempt from income tax and, if you’re 62 or older, you’re eligible for an exemption of most types of retirement income up to $35,000. Once you reach age 65, your retirement income is exempt up to $65,000. If you’re 62 or older, you may be eligible for other tax breaks, depending on your annual income. Like Georgia, South Carolina is popular with retirees due to its warm climate. But it’s important to evaluate the South Carolina tax rate, since it’s generally higher for non-retirees. Like Georgia, South Carolina doesn’t tax retirees on their Social Security, so you’ll get a break there. But you won’t get as much of a tax break on your other retirement income, especially in your younger retirement years. If you’re under the age of 65, your retirement income is only exempt up to $3,000. Once you reach 65, however, you can deduct up to $10,000 in qualifying retirement income. At that age, you can also take a senior deduction of $15,000 if you’re single, or $30,000 if you’re married filing jointly. If you’re trying to decide between Georgia and South Carolina, income tax in Georgia is generally going to be lower, but it’s important to consider the credits and deductions when making that decision. You may be able to reduce your taxable income more in South Carolina versus Georgia. The cost of living could also vary dramatically depending on your area of residence. If you choose a small town, for instance, you may find that you’re able to get a good deal in South Carolina, whereas choosing between Atlanta and Charleston leads to a higher cost of living regardless of the area you choose. In the end, though, the best place to live is the place where you’ll have access to the opportunities you need. If you’re still in the workforce, there are areas in both Georgia and South Carolina with active industry. If you’re simply looking for a scenic, warm place to enjoy life, both states win in that area. Do Liens From State Income Tax Ever Expire?